Education first and foremost in the household was a common topic of conversation throughout the forum, with Ballantyne encouraging women to educate the men in their homes: “We need women in their own homes not allowing their husbands and their sons to think that [and] to tell them that that is not right. 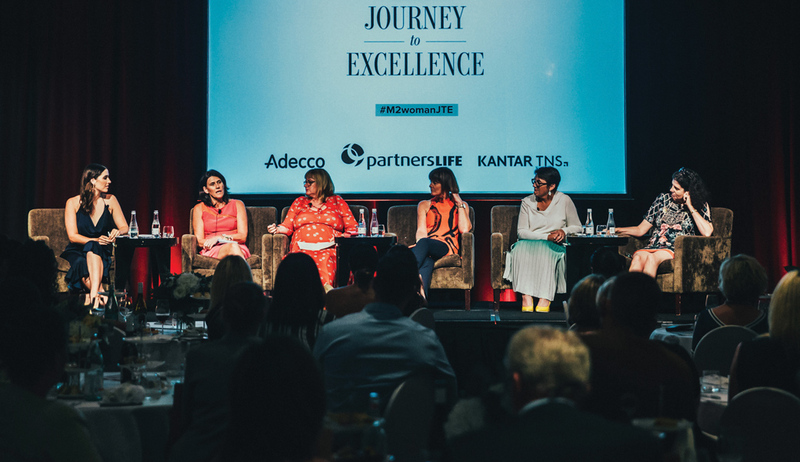 You need to have those conversations so that those men are not going to work and taking that attitude with them.” During question time, education also came up when Shona from Iconic asked the panelists where does the education start. Cross recommended starting in the home in the first instance. “I think everyone has a role – boy, girl – to get those right messages across. And then I think absolutely there is a role in the schools for that, regardless of what type of school it is.” However, on the other hand Ballantyne questioned whether it is the younger generation that needs help: “I am not sure we have a problem with young people. I think as somebody else said, it is that middle group. They have come through and risen through the ranks because they, to a degree, were men and want to hold onto that, to take their career where they can see it get to without the sort of competition. I don’t think it is the children.” Instead, Ballantyne said it is calling out your husbands and your partners and your fathers, which comes back to education in the home. Women and men getting equal pay for equal value work was a goal of Kate Sheppard and the National Council of Women when they got the vote for women 125 years ago, yet we are still fighting for pay equity. Similarly, the 1972 Equal Pay Act made it illegal for men and women to be paid differently for doing the same job. “But how many of you lawyers think you are being paid the same as the guy in the cubicle next door? How many journalists in the room, female journalists, got a big shock when at some point they found out. Look, it doesn’t have to be the BBC, it doesn’t have to be Australia – the last month has been several high profile global journalists resigning because they found out they were paid half a million less than their male colleagues,” Gattung says. Iceland is leading the charge toward pay equity, making it illegal to pay men more than women. They mandate equal pay in both the private and public sector by requiring companies with more than 24 employees to obtain governmental certification that female and male employees are paid equally for the same work. Unsurprisingly, pay transparency was a topic of conversation when it came to making meaningful change. Gattung believes, “Transparency would make a huge difference.” This is also where legislation and reporting comes in, as it did for Iceland. Having something to hold people accountable to is more likely to create change.“Reporting I think is definitely something that could be easily implemented,” Meade suggests. E-Sabotage: Consider how often you use and do the following: unnecessarily apologise and use other passive words such as ‘just’ and ‘actually’ and justify your email with phrases such as “Does that make sense?” and “I’m no expert but”. This event was just the beginning. As more questions are raised and society slowly changes, we will continue to hold these forums to persist toward gender diversity and pay equity. Head to JourneyToExcellence.co.nz for all the latest news and features.